Grab seats for a preview of the 50th Anniversary of How to Succeed in Business without Really Trying! 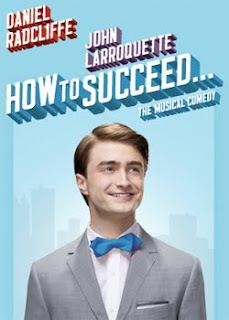 The musical comedy starring Daniel Radcliffe (Harry Potter) and John Larroquette (Night Court, The Practice) and with music by Tony- and Academy- award winning Frank Loesser (Guys and Dolls) chronicles the riotous rise of window washer J. Pierrepont Finch (Radcliffe) as he attempts to move up the corporate ladder, girl in one arm, pail in the other. Bonus: CNN's Anderson Copper narrates.